Fearing that the M400 MonstroBot Skin may not be enough, they activated the Chrome Contingency Plan. Using leftover drops of chrome as a base, all known aspects of the M400 have been applied to the skin. Now, armed with flight thrusters and a plasma pulsar sword, it's going to be one heck of an air show when these two tango! The M400 Chrome MonstroBot Skin can be used on the Chrome MonstroBot. The trap's stats (power, power bonus, attraction bonus, etc.) are not changed. The M400 Chrome MonstroBot Skin may be found as loot from the M400 and can be traded on the Marketplace or through Give To Friends. 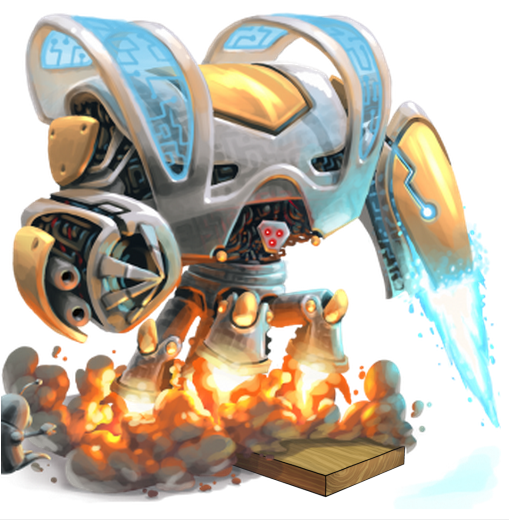 26 February 2014: The M400 Chrome MonstroBot Skin was released as part of the M400 release. This page was last edited on 9 December 2017, at 14:00.